There are new sheriffs in town! After 4 great years of organizing, Andrew has handed the reins over to us – Will and Cayla Key. As a tribute to all the amazing work he did, I put together a map of all the locations EPACC met from 2014-17. Thanks so much for all the work you did, Andrew. Created by sculptor Marvin Oliver in 2010 to mark the preservation of Salmon Bay and the surrounding areas as natural habitats, the aluminum, glass and bronze statue welcomes visitors to a time when the bay was an essential part of local survival. 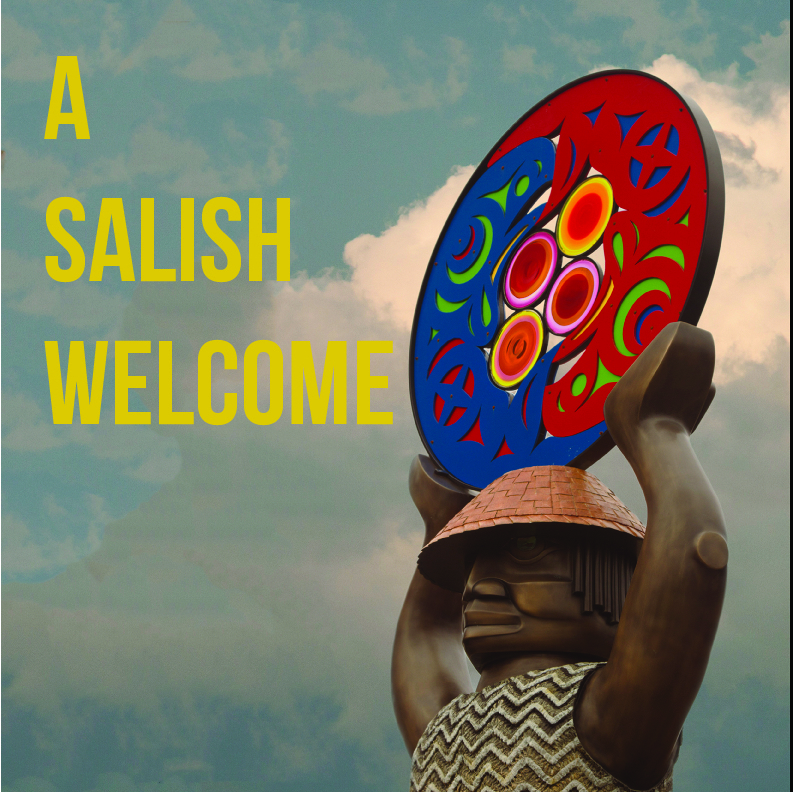 The 16-foot statue takes the form of a brass figure wearing a Salish (a Native American tribe indigenous to the area) ceremonial robe holding a large disc skyward. Cayla and I have biked by this on the Burke Gilman Trail a bunch of times and never noticed it. So we are excited to check it out. Hope you will join us! Here’s a map.